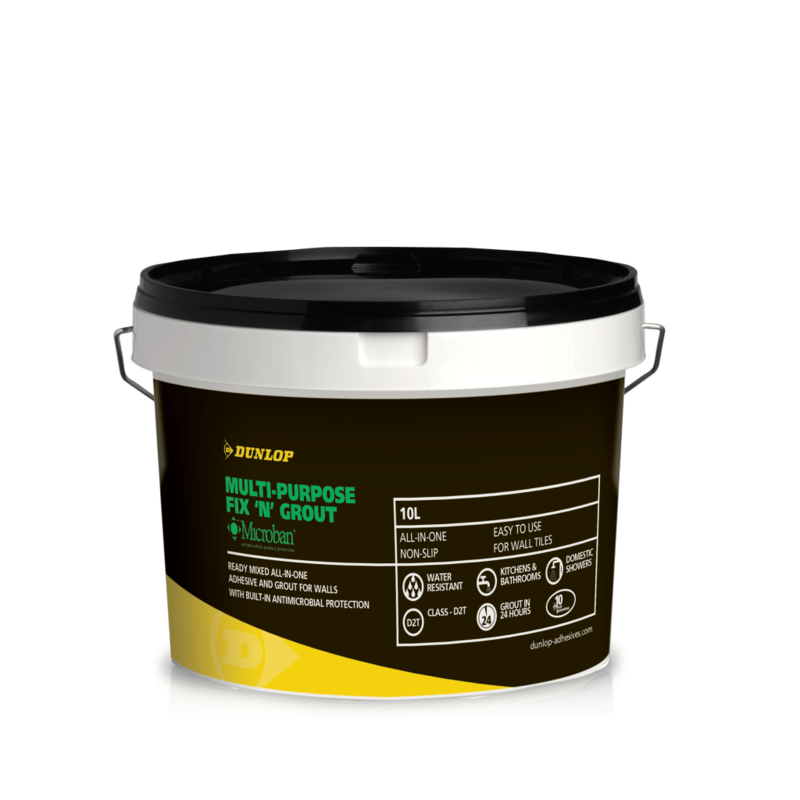 DUNLOP MULTI-PURPOSE FIX ‘N’ GROUT is a ready-mixed tile adhesive and grout specially formulated for fixing ceramic or mosaic wall tiles in showers, bathrooms, toilet areas and kitchens. It may also be used just as an adhesive in power showers if a suitable grout is used. Approximately 1.3 l/m2 in dry areas, depending on flatness of surface, or 2.6 l/m2 in wet areas. Grout coverage varies according to tile size and joint width, as a guide DUNLOP MULTIPURPOSE FIX ‘N’ GROUT is sufficient to grout at approximately 0.3 l/m2 when using 200mm x 200mm x 8mm tiles with 3mm joints, or at approximately 0.8 l/m2 when using 20mm x 20mm x 5mm tiles with 2mm joints.